It works exactly as the Wiimote does, except when it sits on a table or something, it becomes a really nice laser powered wireless mouse. The smoothness it’s unbelievable for a wireless device. You simply point and click. The charger base is also looking fabulous. The buttons lighten up in some orange/redish nice not-annoying colour. With it’s left and right click lights, i can swear it has eyes watching me. The scroll is strange at first, as it is digital, and not using a wheel. It generates some nice sounds when rolling the digital “wheel”. There are also buttons for Back, Select, Play/Pause and Volume, Up, Down, Right/Left Click. All are backlighted. It also has a button for On/Off on the backside. Now, back to PS3 and MX Air. I haven’t tested any games (shooters) yet, and hopefully they don’t work (i’m a fan of “do it gamepad style”). But in XMB, Internet Browser, Playstation Store, it works flawlessly. Going to test PS3 Linux tommorrow to see if everything goes fine. 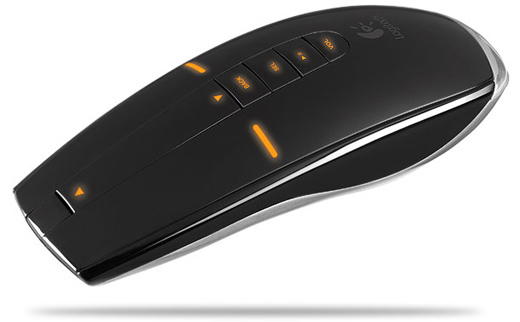 Overall, for such a small review i’ve done, i would give Logitech MX Air a 9.5 out of 10. It’s alien technology. I could drop it to 9 out of 10 because it’s too expensive (120 EUR). 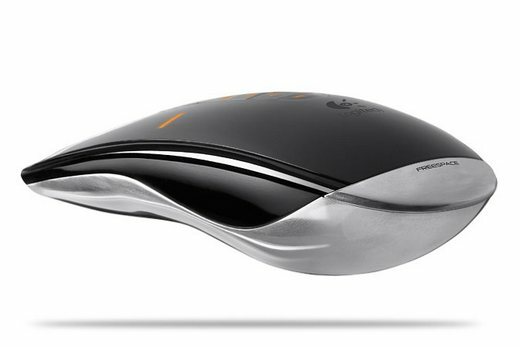 But it’s the perfect remote for a HTPC where a mouse is too annoying to use. Freespace™ motion sensing: In the air, use MX Air™ to browse and play your favourite media. The sensor transforms hand motions into natural, responsive cursor controls. Adjust volume by waving to the right or left; skip tracks with a flip of the wrist. Easy control of PC-based entertainment: Take command of your PC-based media with intuitive wave-and-click control—an easier and more natural way to enjoy your favourite media. 2.4 GHz wireless: An operating range of 9 m lets you navigate media from anywhere in the room.